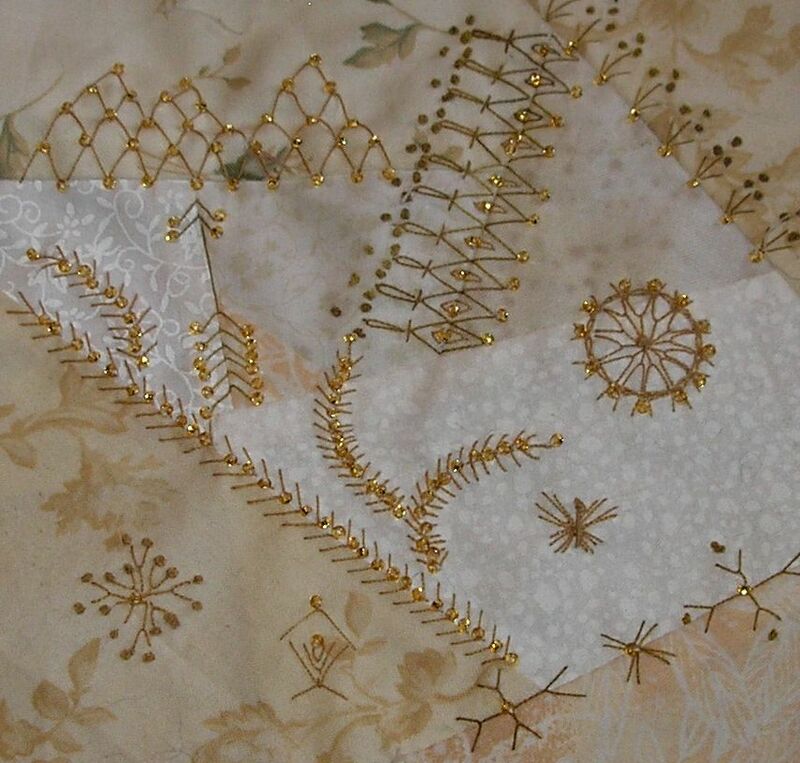 joeys tie quilt, a photo by Pinyon Creek Stitchin' on Flickr. 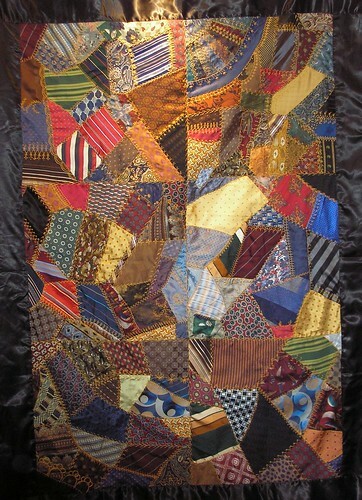 I have just completed this quilt, approx 50 x 70, for my grandson. It is made entirely of ties. 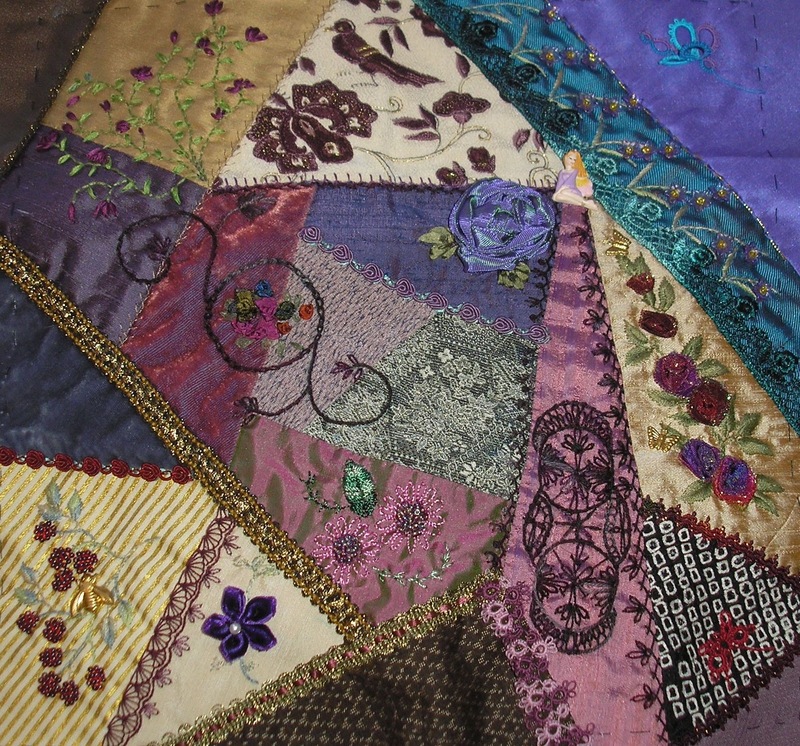 My children had received similar quilts made by a great grandmother so I thought I would continue the tradition! It will be winging its way to Florida tomorrow! This is Susan Richards block in the FFT 18 rr. I have again done the work of two on the block. I was allllll over the place trying to fill in spots! I hope you enjoy, Susan! 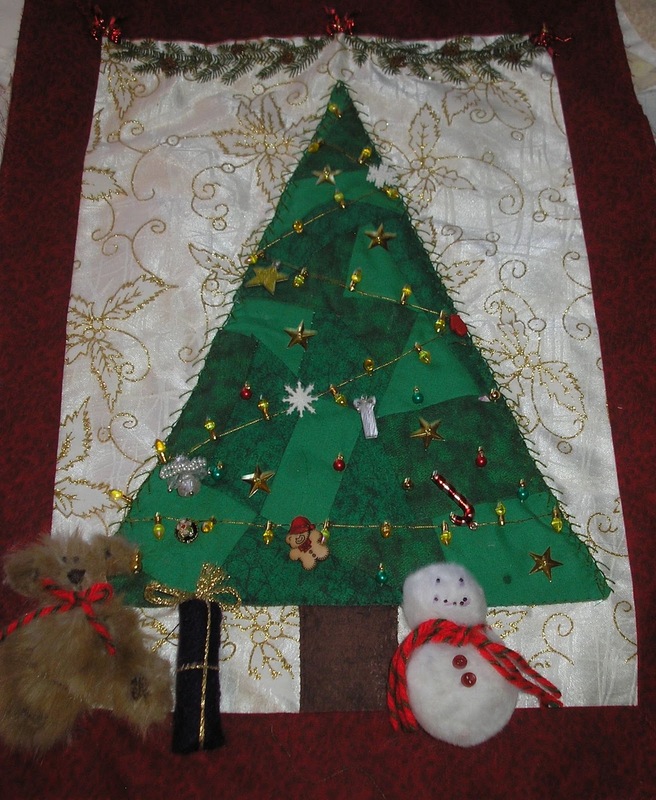 This is my TAST for the first week of January 2012 along with my block for CQJP for January! 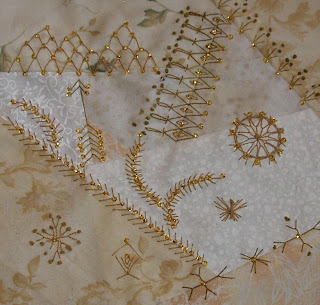 It is fun to play around with the variations on the fly stitch!! Here is another pic for TAST as well. 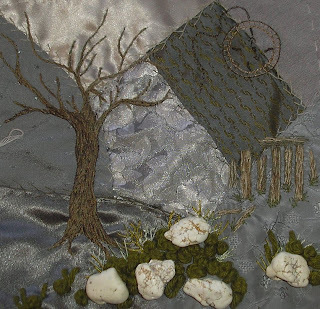 I have been busy stitching away! 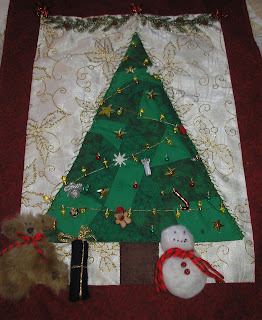 This is Lorries block from the And Sew It Is Christmas rr at wwcq. I was the first person and stitched for myself and another in the rr who is working through some problems at the moment. Enjoy, Lorrie! !